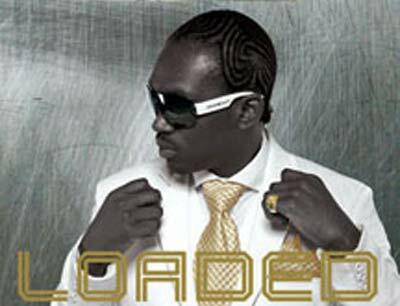 Busy Signal Set to Release New Dancehall Album, Loaded. A new release from Jamaican dancehall DJ Busy Signal, is set to hit record stands September 9, VP Records announced. “The leading Jamaican deejay unleashes an arsenal of progressive hits that could ultimately redefine dancehall,” a VP news release said. This album contains numbers like Jail, These Are The Days, Unknown Number and Wine Pon Di Edge that are being played in dancehall scene worldwide despite their obvious difference in style. Busy’s sense of fun and mischief are allowed full rein on tunes like Wine Pon Di Edge, Hey Girl, hip hop/dancehall hybrid Tic Toc and Cool It Baby, which Busy programmed himself. Yet it’s his powerful commentaries on the ghetto lifestyle, like These Are The Days that have lent Busy Signal’s art its raw edge, and made him into mouthpiece for the disenfranchised youth of Jamaica and beyond. Knocking At Your Door, People So Evil and Curfew, demonstrate his concern. Busy Signal, real name Reanno Gordon, cultivated his artistry under the watch of dancehall icon Bounty Killer. With his outstanding mic techniques and restless creativity, he became a member of The Alliance – Bounty Killer’s musical powerhouse that spawned dancehall stars like Elephant Man, Mavado and Wayne Marshall. Busy began to receive widespread attention in 2005 with breakthrough hits like Born and Grow and Step Out and his astounding live performance set which eventually booked him on all the major Jamaican stage shows . The following year, he released his debut album Step Out with Greensleeves Records which garnered positive media attention and a growing fan base worldwide. With Busy’s endless ingenuity and talent paired with a fresh production team of young dancehall pioneers setting the tone for this generation, such as Demarco and SSMG, Loaded will be a crucial stage of Busy Signal’s development.